Coaching is an essential tool for today’s managers. It helps them develop their staff’s skills in decision-making, problem solving and resilience. 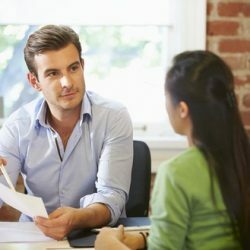 Powerful coaching techniques include effective questioning, challenging skills, re-framing and goal setting. This practical course covers key coaching tools and techniques and provides ample opportunity to practice new skills and gain valuable feedback from the trainer and other delegates. The course will equip you to coach confidently and effectively. Motivation and engagement are among the most important factors determining a team’s success. But each personality within a team responds best to a different motivational approach. During this course delegates will learn to take an individualised approach to motivating team members. They will discover a raft of powerful motivational techniques, and will be equipped to identify the most effective motivators for each person they manage. It’s easy to get people to do what you want if you have authority over them, but getting your ideas and opinions taken seriously and acted on without recourse to positional power requires subtler skills and a more thoughtful approach. This empowering course has been designed to help those with and without positional power to improve their ability to ‘bring people with them’, to persuade and to influence at work. Our copywriting training includes a suite of courses addressing a range of writing forms and contexts. All are delivered by a highly experienced copywriter and trainer, and can be delivered at your offices anywhere in the UK. We also offer open courses at our London venue.